I've planted a sedum which has creamy white flowers on the edge of Jeremy's border. Its leaves are clear light green and fit well with the underplantings of Stachys Limelight. It's a bee plant. 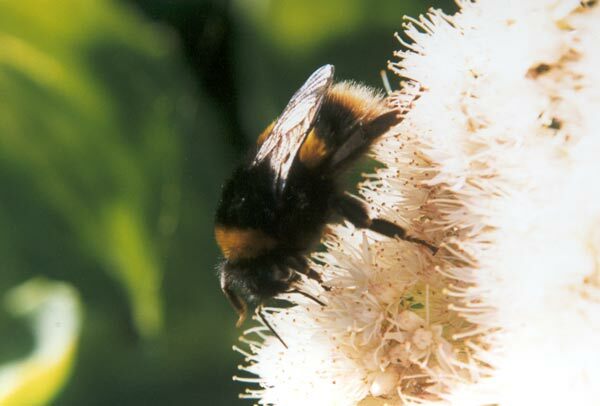 On sunny days the bumble bees love it, though they don't seem to visit when it's cloudy. This is a sunny bee.